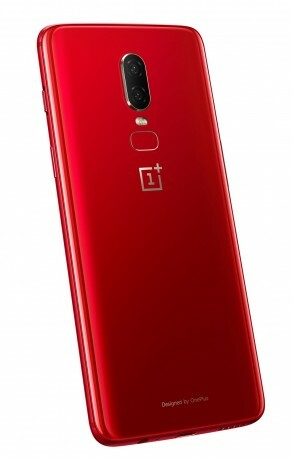 OnePlus today announced a new red color option for its OnePlus 6 phone. This red special edition also features a new six-layer glass back to enhance the color, including an ”anti-reflective layer to create a sense of depth” and a translucent orange layer. It will come in just one memory configuration: 8 GB of RAM and 128 GB of storage. It will sell for $579, the same price as other colors with that memory option. The OnePlus 6 is a high-end unlocked phone with a metal body, 6.3” AMOLED display with a notch, water resistance, excellent support for US LTE networks, and a Snapdragon 845 processor. Sales commence July 10th. The OnePlus 6 is here to convince you that no one needs a $700, $800, $900, or $1,000 smartphone. Heck, you don't even need a $600 smartphone. OnePlus has begun pushing OxygenOS 5.1.6 to its OnePlus 6 phone. The update contains a few new features, including Portrait Mode for the front camera, which enables bokeh-style selfies. OnePlus has made the first Open Beta build of OxygenOS based on Android 9 Pie available to the OnePlus 6. OnePlus had previously been testing the beta with a closed group. Google today made Android P Beta 2 available to developers. Importantly, Google says this beta includes the final Android P APIs (level 28) and the official SDK, which means developers have what they need to customize their apps for the new features in Android P.